Yep, it’s official, I am addicted to smoking slippers. I feel my Valentino lace were just the beginning of my collection. 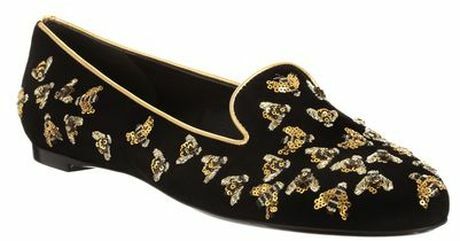 These slippers from Alexander McQueen are just fabulous – suede and sequins and lots of little bees. I feel slippers are a little more dressed up than your regular ballet slippers. These are priced at $770 and are definitely on my wish list!